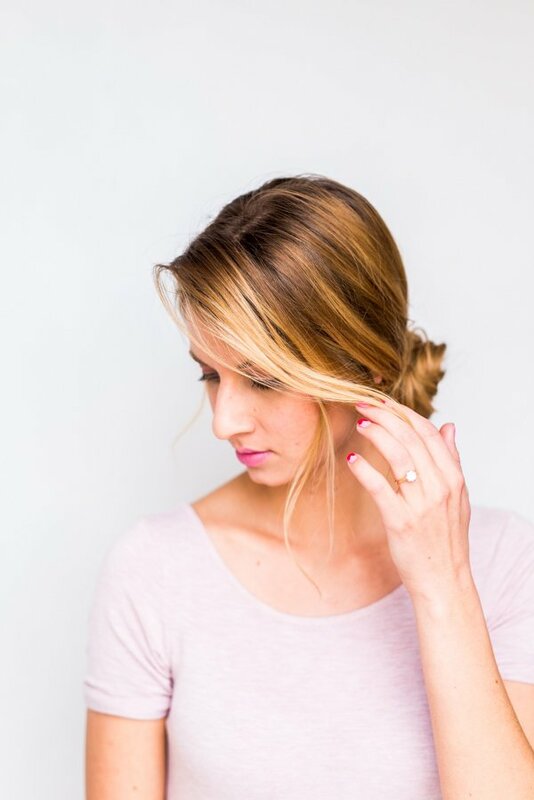 Today’s hair tutorial for a messy side swept chignon is actually a twofer because I’ve also included a quick tutorial for my new favorite statement piece… a copper DIY hair accessory that I am completely into. Hope you will be too. Here’s the story… I’ve been seeing giant metal circles popping up a lot lately in jewelry (here, here, and here) and love the minimal look. 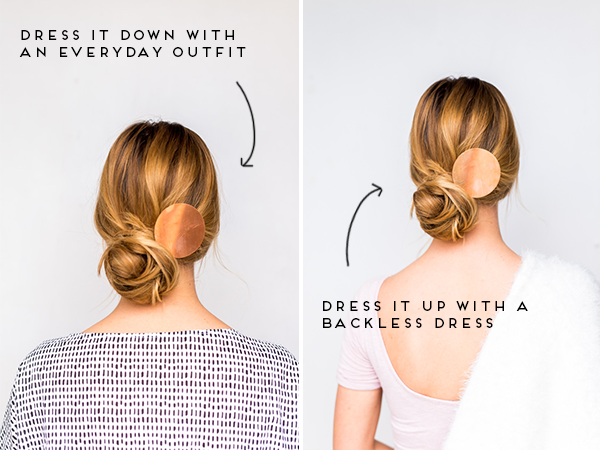 So, I decided to create a simple hair clip version that works perfectly with any updo. Bonus! It costs less than $5 to make your own. AND looks great glammed up with a fancy dress (even for a wedding) or dressed down with a more casual outfit. Thumbs up in my book! 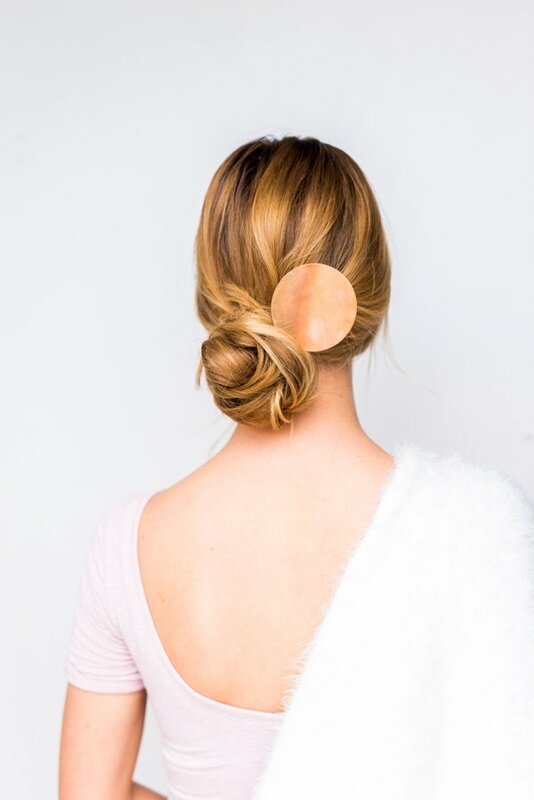 This messy chignon works great for second day hair. 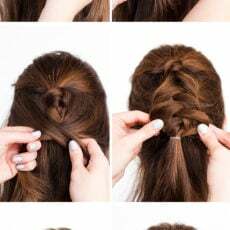 But if you’ve just washed your hair or don’t have much texture you can add a texturizing spray just as easily. We used Kenra dry texture spray, which is available on Amazon. 1. 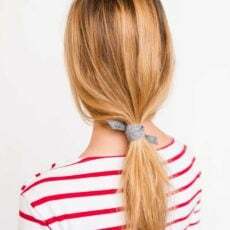 Secure your hair in a low pony at the nape of your neck, slightly to one side to have room for your hair accessory. 2. 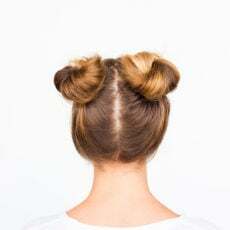 Lightly tease your pony (not very much, you don’t want it to look teased) and split it into two sections. 3. 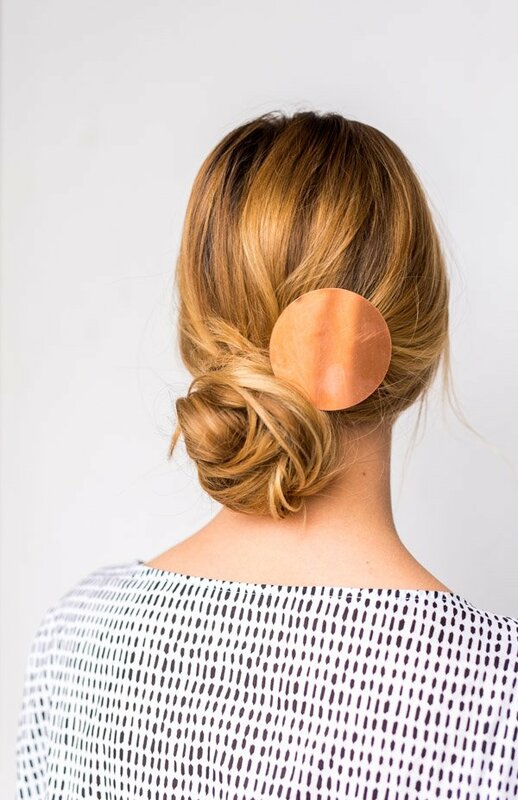 Loosely wrap your first section and secure with a bobby pin. 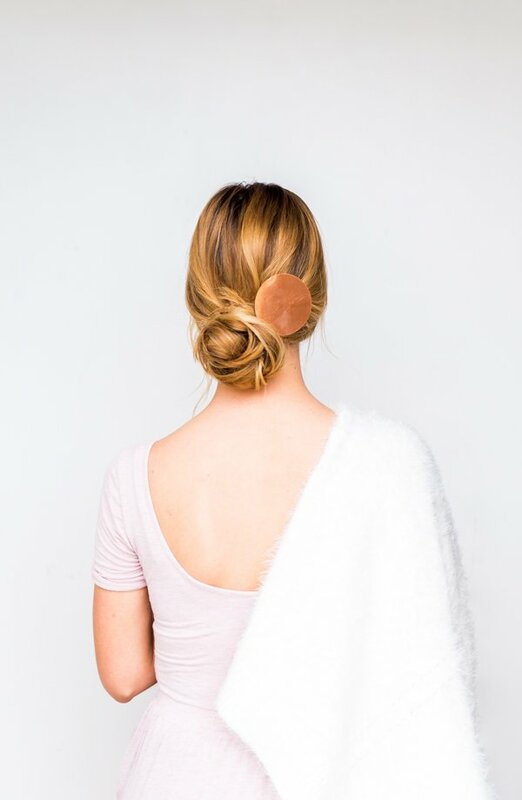 Do the same with your second section, wrapping it around the already pinned hair and secure with a bobby pin creating a “bun” shape, adding extra bobby pins where needed to secure your hair. 4. 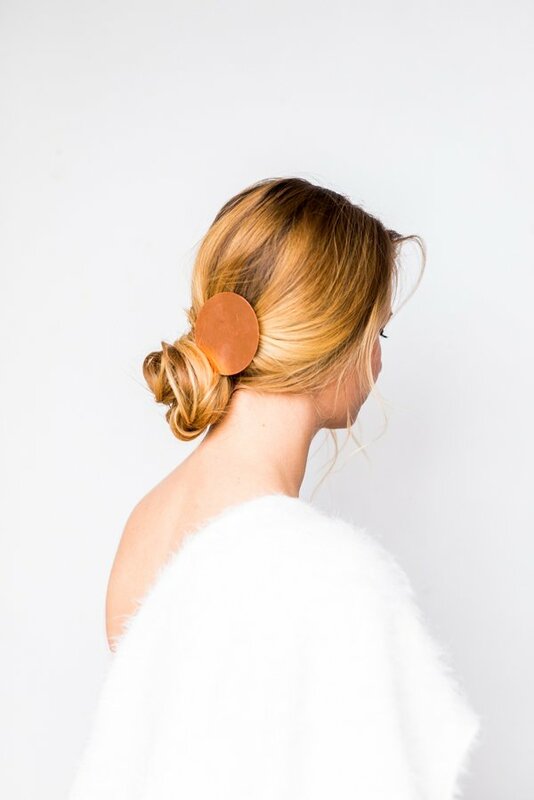 Finish off with your DIY hair accessory. Tutorial below for how to make your own. This is super easy! Just add a generous amount of super glue to the back of an alligator clip, attach it to the copper round, and let it dry according to the instructions on the super glue bottle. So easy! What do you think? Are you a fan of this minimal look? What a wonderfully easy and very chic DIY, I really like this! I need to try that hairdo as well! Love this! Will definitely be making this! Awesome Kiersten. Let me know how it turns out. 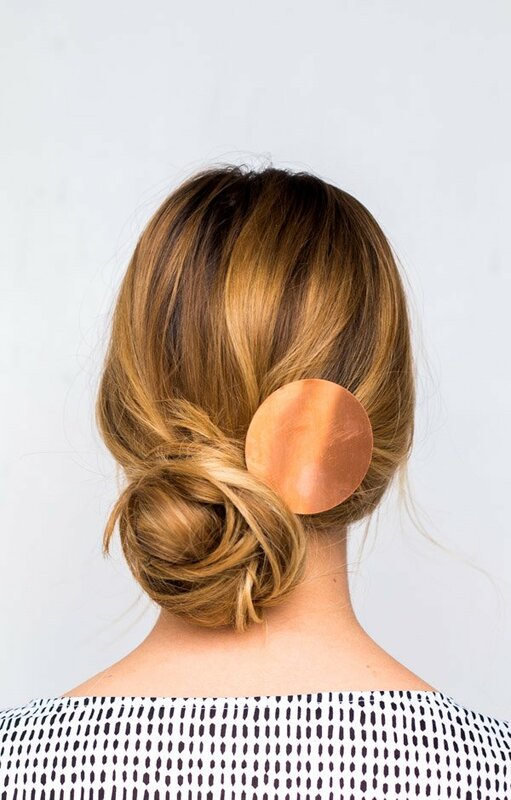 I am obsessed with this do, and even more with the copper clip! Such a beauty! Thanks Mariana. Glad you like it. Yay Gabriella. Let us know how it turns out if you give this look a try. It’s totally easy, Kathy. Definitely a must-try. Brittni, I love the round copper blanks. The minute I saw them, I thought “shoes”. Yes! We were talking about adding the copper rounds to sandals or heels, but never ended up doing it. Would love to see that though, if you try it Pat. Awesome Cortney! Glad you enjoyed it. Brittni, I would love to see your necklace!